George Hotel is charming old coaching inn situated at Hathersage, Derbyshire. We are perfectly based for those wishing to explore the Peak District National Park and its stunning scenery. 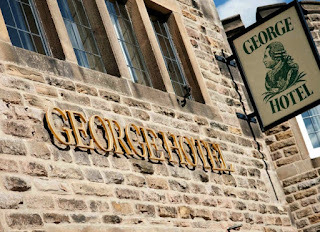 If you’re looking for the perfect place to rest your head while enjoying the many faces of the Peak District, the Derbyshire Dales or the city of Sheffield, you can trust George to supply first class service and luxury accommodation. 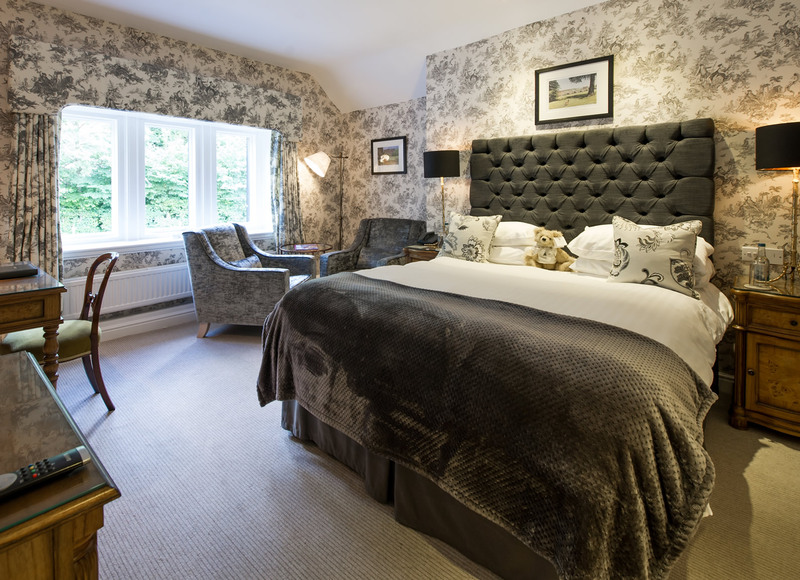 Whatever your reason for visiting George, our superb choice of great value standard and luxury accommodation will ensure that you’re well rested and looked after for the duration of your stay – but of course, there’s nothing standard about George’s standard. For local fine dining, Sheffield would seem the obvious choice – that was until George came along. Offering mouth-watering British cuisine, George’s fine dining restaurant has carved an impressive name for itself over the last 18 years, most recently culminating in two AA rosettes for its incredible standards and exceptional quality. Why not balance your relaxed stay with a visit to one of the many local attractions? If you are looking for peace and tranquillity, think no further than the stunning Peak District National Park – literally on the doorstep. Museums and sensational shopping lie a mere half hour an away in blossoming Sheffield. The Clifton is a high-quality bed and breakfast which is surrounded by wonderful scenery and beaches in South Devon. 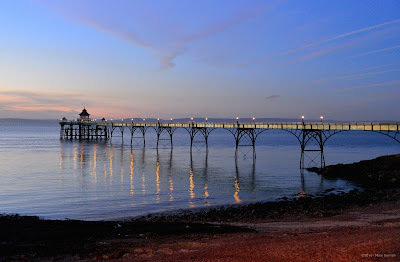 The B&B is located close to the seafront in Paignton which is between the harbour and pier. We serve delicious full English or continental breakfasts. The Clifton at Paignton offers B & B or half board. Vegetarians are most welcome and special diets are catered for. For guests that want to relax, the B&B offers a fully licensed bat and lounge area. Paignton is at the very heart of Torbay and the English Riviera, with its safe, sandy beaches, long seafront promenade, excellent swimming and water activities, great entertainment, night and day, making it the ideal location for an enjoyable, relaxing and memorable holiday. There's always lots to do and see in Paignton, Torbay and beyond. Steeple View B&B and Retreat is known to provide relaxing and luxurious accommodation in a quiet location in the centre of the popular, vibrant and historic little town of Newport. This independent boutique style B&B offers the discerning traveller, in search of beautiful walks in nature and ancient sites, a perfect base for exploring the range of attractions to be found in Pembrokeshire. 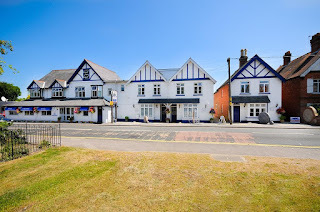 Just a minute’s walk to all the popular cafes, restaurants and pubs, for which Newport is renowned, this Sea Captain’s House, originally built in 1889, has recently been sensitively refurbished fusing its original charm with contemporary facilities creating a truly peaceful and comfortable stay. The en-suite bedrooms have both been tastefully furnished and have window seats offering delightful local views. You can choose between The Garden Room, with its pretty garden view which comes with either twin beds or a super king or Church View which enjoys gorgeous views of the Norman church and has a king-sized bed. Passionate about whole food cooking, whenever possible, Steeple View provides locally sourced and organic produce. The full breakfast offers a variety of cereals, local artisan bread, local organic eggs, homemade spreads, award-winning local bacon and sausages. Packed lunches are also available. At Steeple View you can simply abandon your car and enjoy a walk from the front door & explore popular attractions. 5 hidden gems to visit in 2019. There are so many picturesque places to visit in the UK that are worth adding to your 2019 bucket list. Why go abroad when there are so many fantastic hidden gems worth discovering right on your doorstep? Let The B & B Directory inspire you to explore more in the New Year. Britain boasts many ancient monuments, Areas of Outstanding Natural Beauty, famous buildings and landmarks and numerous historical sites dotted across the country. 1. Llŷn Peninsula. Tucked away beyond Snowdonia’s craggiest peaks, with the Irish Sea on one side and Cardigan Bay on the other, the Llŷn has a distinctive, unspoilt character that’s all its own. Llŷn’s mix of culture and heritage, traditional farmsteads and little ports, beaches, bays and sea-cliffs are unlike anything else you’ll find in Wales or elsewhere, for that matter. 2. Barnard Castle. 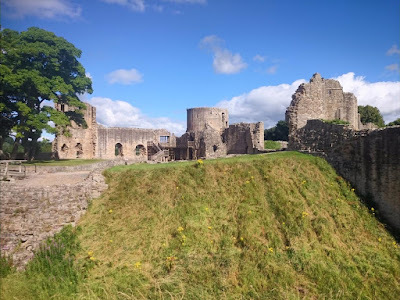 Set on a high rock above the River Tees, Barnard Castle takes its name from its 12th century founder, Bernard de Balliol. It was later developed by the Beauchamp family and then passed into the hands of Richard III. With fantastic views over the Tees Gorge, this fortress sits on the fringe of an attractive working market town also known as ‘Barney’ so there is plenty to do for families on a day out. 3. Lansallos. Stretch your legs in a living Cornish landscape. With activities ranging from camping and kite flying to walking and watersports, there are numerous ways you can explore the coast and countryside. As part of a Site of Special Scientific Interest, there is an abundance of wildlife waiting to be discovered, from the wildflowers on the coastal slopes to the many birds on the cliffs and farmland. 5. Carrick-a-Rede Rope Bridge. Connected to the cliffs by a rope bridge across the Atlantic Ocean, Carrick-a-Rede Island (home to a single building - a fisherman's cottage) is the final destination. 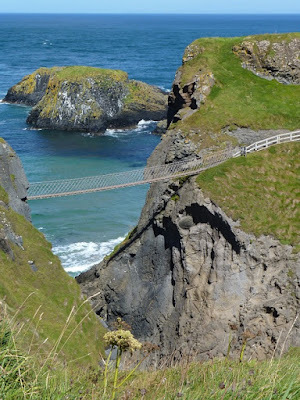 Suspended almost 100 ft (30 m) above sea level, the rope bridge was first erected by salmon fisherman 350 years ago. Discover these hidden gems and so much more in 2019! Do you need accommodation? Take a look at our website The B & B Directory for accommodation inspiration. Our website is an online directory of guest accommodation located within the UK and Ireland. All bookings and enquiries are made direct with the owners. 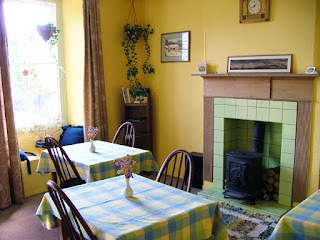 Red Gables B&B is situated just outside of Newport in the beautiful county of Shropshire. The B&B is located in the village of Longford and is set within 5 acres of its own beautiful grounds. 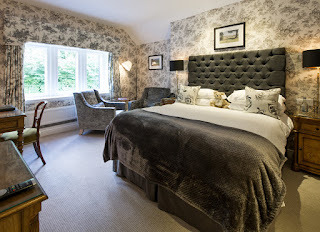 All of our guest bedrooms offer en-suite facilities, ample wardrobe space, dressing table, chair, flat screen digital TV, hairdryer, alarm clock and tea/coffee making facilities. The kitchen is located on the ground floor and equipped to a high standard. Facilities include a large range cooker, fridge freezer with ice making facility, microwave, grill machine and toaster. We offer a large full English breakfast, together with many alternatives. We take pride in our home and business and hope that you enjoy your stay, making full use of all the facilities provided. You will have the use of the guest lounge which is located on the first floor. A balcony overlooks a private driveway surrounded by open fields. Guests can also enjoy the gardens and grounds surrounding Red Gables itself. Plus private patio area with table and chairs overlooking open fields. 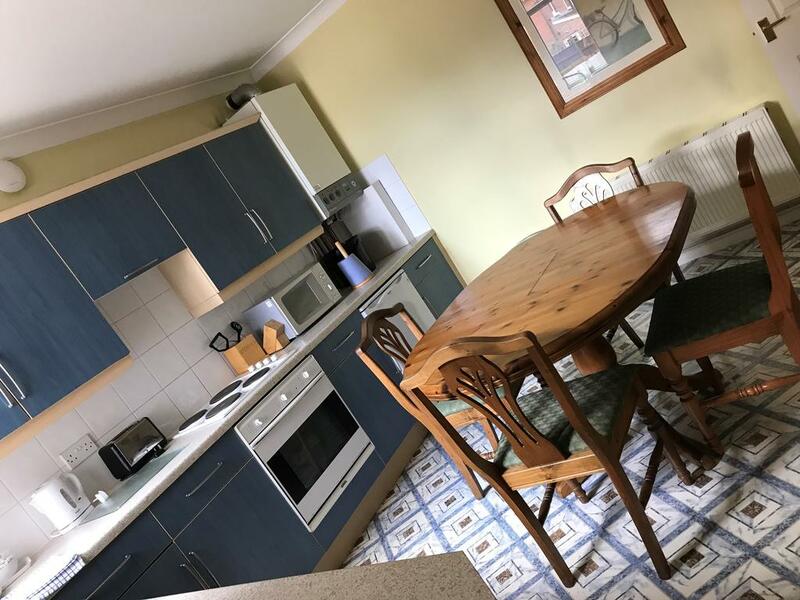 The B&B is situated in Longford next to Longford Hall and only one mile from Newport, a market town with many eating places, shops, pubs and even a nightclub. We are also one mile from the village of Edgmond with two pubs, a village school, shop and Harper Adams Agricultural College. The Penny Farthing Hotel is located in Lyndhurst just off the high street. We are situated in the beautiful county of Hampshire within the magnificent New Forest National Park. Our privately run hotel is a friendly comfortable base for those wishing to explore the area. Our hotel has evolved from two Victorian houses. It has had many additions over the years and each room is individual in size and style some large, some smaller. All rooms have en-suite facilities, digital TV, tea/coffee tray and free Wi-Fi. Two of the guest rooms can also be let on a self catering basis. We serve a hearty breakfast to set you up for the day served from 7am. Please let us know if you have any special requirements and we will do our best to cater to your needs. 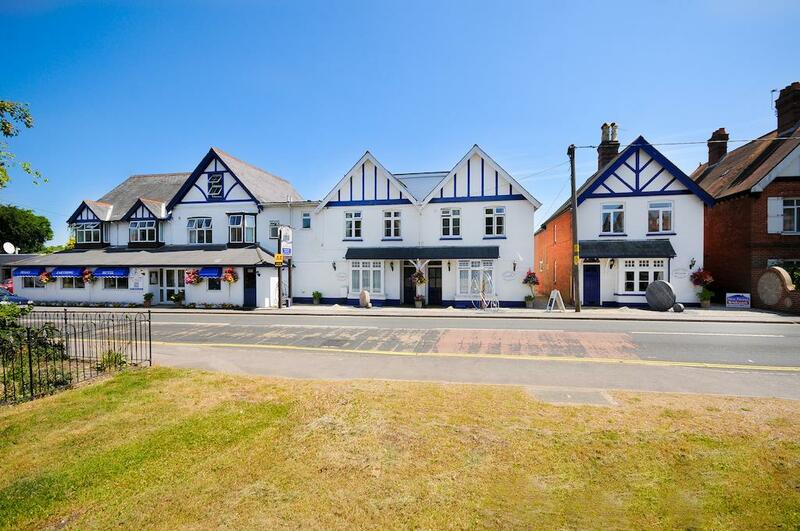 Lyndhurst is the capital of the New Forest and is home to a variety of shops, restaurants, banks, pubs, as well as the main Visitors Centre and New Museum. With Southampton, Fawley and Marchwood 15/20 minutes to the East, Bournemouth and Christchurch 30 minutes West and Winchester and Salisbury 30 minutes’ drive our New Forest location couldn’t be better! 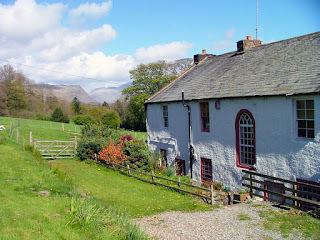 Rainors Farm B&B is located in beautiful rural Cumbria within the Lake District National Park. We are just a short drive from Gosforth and the lovely coastal town of Seascale. 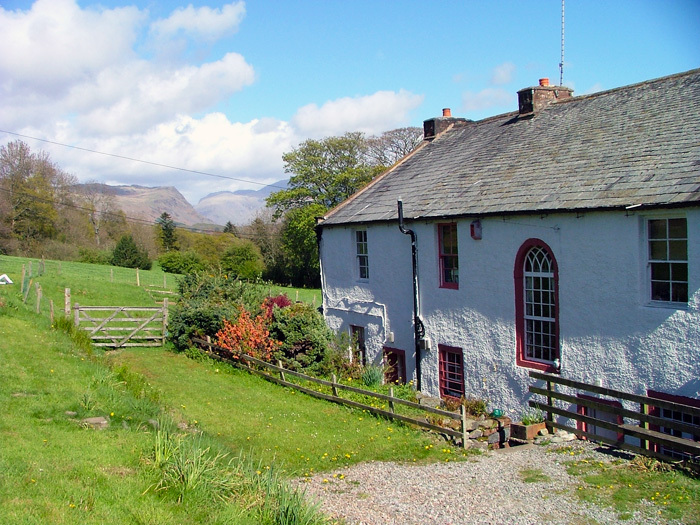 Our family-friendly accommodation is located at the foot of the beautiful Wasdale Valley. The accommodation has 2 en-suite rooms which can be used as single, double, triple, twin or family rooms. In each room, there is a TV and tea/coffee making facilities. In the morning there is a full English breakfast or vegetarian option which is included in the rates. We can also provide a packed lunch for £7 per person. We are ideally located just 10 minutes from Wastwater and are perfectly located for walking, climbing, diving, mountain biking, cycling and much more. There are lots of other local attractions close by such as Gosforth Pottery, Muncaster Castle and the L'aal Ratty.